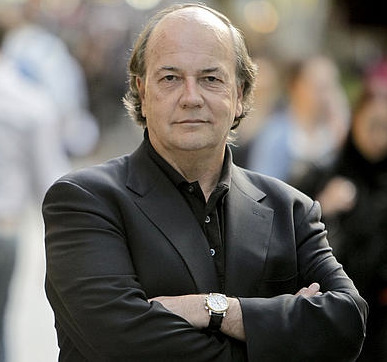 The Inteligencia Financiera Global blog (Global Financial Intelligence Blog) is honored to present an exclusive interview with economy world expert Jim Rickards. 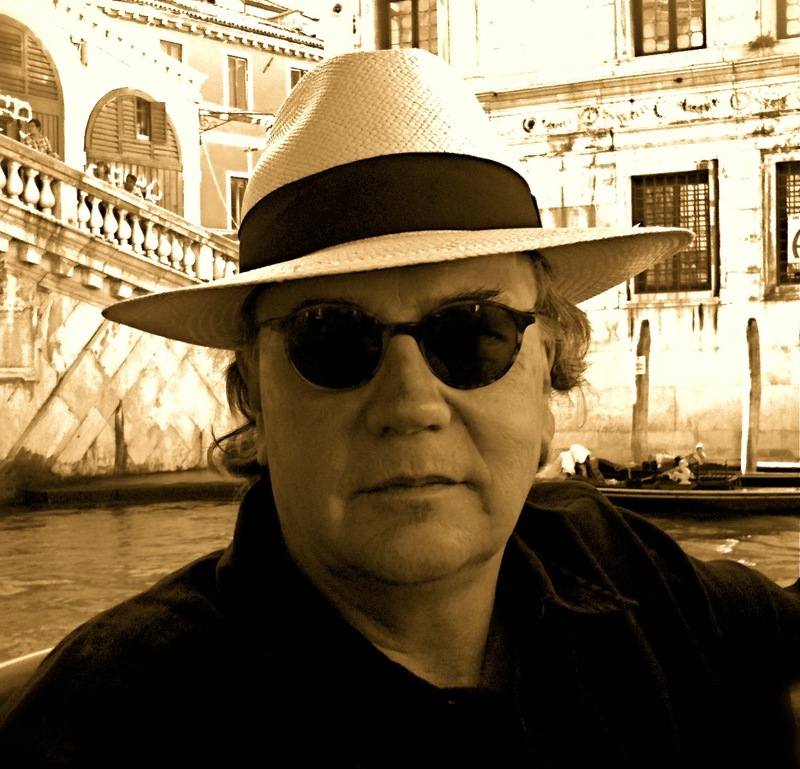 Jim is the author of the bestseller “Currency Wars: The Making of the Next Global Crisis” and the forthcoming, “The Death of Money: The Coming Collapse of the International Monetary System”. He is a portfolio manager at West Shore Group and a partner in Tangent Capital Partners, a merchant bank based in New York. He is an advisor on capital markets to the U.S. intelligence community and the Office of the Secretary of Defense. Thanks for accepting this interview. Jim, as you know, China is now the world’s largest consumer of gold. While the WGC states that its “record” demand in 2013 was only 1,065.8 tonnes, the China Gold Association estimates “gold consumption” was 1,176 tonnes. On the other hand, several pundits like Koos Jansen say that the real China gold demand was much more than 2,000 tonnes last year. Who should we believe? – There are many estimates of official and non-official accumulation of gold in China. The truth is that no one knows the exact number because China is non-transparent about the total amount of gold coming into the country and its own mining output, and it is not-transparent about how much of that gold goes for personal acquisition and now much to government reserves. So, all analysts, myself included, are working with imperfect or incomplete information. We do know that some gold comes into China using military channels and is not reported to any authority. As a result, even the best estimates may be too low. The best guide is to assume China has some target in mind, probably 5,000 tonnes or higher, and will continue to accumulate through diverse channels until that target is reached. My estimate is that China will announce it has over 5,000 tonnes of gold in early 2015. It probably has at least 3,000 tonnes today. Why is China buying such big quantities of gold? Is Beijing preparing for the collapse of the fiat monetary system? Do they want to replace the USD with yuan as a reserve currency? – China has no prospect for replacing the USD with the yuan as a global reserve currency. This would require China to open its capital account, which it does not want to do. It also requires a good rule of law and a deep liquid bond market with financing and hedging instruments, which it does not have. So, the yuan will not be a reserve currency for at least ten years, possible longer and the Chinese know this. The reason China is acquiring gold is to hedge its exposure to dollars. China actually wants a strong dollar because they own over $3 trillion in dollar denominated paper they cannot dump. If the U.S. inflates and devalues the dollar, gold will go much higher in price. Whatever China loses on its paper due to dollar inflation, it will make up on its gold profits. So, China is hedging dollars with gold. Other investors should do likewise. Gold is going from West to Far East, that’s a fact. It seems that the “developed” economies are being left only with paper “gold”. Could this lead to future war tensions between China and Russia on one hand, and the US, Europe and Japan on the other? – Gold is certainly moving quickly from vaults in the U.S. and Europe to as those maintained by the COMEX and the GLD ETF, in the direction of vaults in China including those of the government. Much of this gold passes through Swiss refineries where it is melted down from 400-ounce bars of 99.90% purity and re-refined and recast into 1-kilo bars of 99.99% purity. When gold moves from west to east, there is no change in the total stock of gold, but there is a reduction in the floating supply since COMEX and GLD gold is available for trading and leasing whereas China’s official gold is not. This implies a gradual unwinding of paper short positions in gold, because there is less physical available to support the paper trading. In turn, this supports a higher price for physical gold. A higher price for gold means a low value for the dollar when measured in gold. This will increase tensions between China and the U.S. Tensions are already high between China and Japan over the South China Sea islands, and between the U.S. and Russia over Ukraine. Taken in combination, the potential for a mistake or escalation resulting in actual warfare prompted partly by increasing gold prices is growing more likely. Gold has been rallying so far in 2014 (at the time of the interview). Can the current tensions between Ukraine and Russia pull the trigger for an explosion in gold prices? How high could gold go in the long run despite price manipulation? – The tensions between the U.S. and Russia related to Ukraine have helped the price of gold slightly because of the usual “safe haven” investment flows. It is unlikely that economic warfare between the U.S. and Russia over Ukraine will escalate very far because the U.S. has far more to lose than Russia and will not want to push the situation to that level. Central banks still have the ability to manipulate gold prices through gold leasing to commercial banks, who then use the leased gold to sell unallocated gold to customers using leverage. But the demand for physical gold by China and others is making leasing and paper gold transactions more difficult because there is less physical to support the trading and greater risk of default by a market participant who suddenly finds itself unable to obtain physical gold to satisfy some paper contract. All manipulation breaks down eventually because market participants beging to pile-on the other side of the trade to test the will and resources of the manipulators. When the current manipulation breaks down, probably in the next year or two, gold will surge higher based on fundamental supply and demand. In that environment prices of $3,000 per ounce would not be surprising, although gold may eventually go to $9,000 per ounce or more if needed to restore lost confidence in the international monetary system. Jim, is the world on the verge of a deflationary collapse or an inflationary one? In any case, is it a good idea for the common people and even entire countries to accumulate physical gold reserves? – The world is on the knife-edge of inflation and deflation. There is a powerful deflationary trend in the world because of the depression of 2007 and the need to sell assets to liquidate debt, which puts further downward pressure on asset prices, increasing stress on others, forcing further asset sales, etc. in a downward spiral. There is a powerful inflationary trend in the world because of massive money printing and zero interest rates, which allows the use of leverage to pump up asset prices. The deflation and inflation are cancelling each other out in price indices but neither is going away soon. Physical gold reserves are the best asset class in this situation. If inflation prevails, gold prices will go much higher through market forces. If deflation prevails, the government may force gold prices to go higher in order to cause more generalized inflation. This happened around the world from 1931 to 1934 when the U.K., U.S. and others devaluated their currencies by raising the price of gold. In the depths of the deflationary Great Depression, the price of gold measured in dollars increased 75%. This illustrates why gold is being accumulated by central banks because it preserves wealth in inflation and deflation. Will silver follow the rising price of gold? Which one has more potential? – Silver is more difficult to analyze than gold because silver has an important role as an industrial input and a commodity in addition to being a precious metal, whereas gold has few if any commercial or industrial applications and is really just pure money. As a result, Silver could possible go higher on the basis of inflationary expectations and movement in the price of gold, but at the same time experience downward price pressure if there is weakness in industrial output. In the long run, silver will track the price movements of gold with some lags and higher volatility. Much higher gold prices certainly imply much higher silver prices regardless of the industrial uses to which silver can be put. Finally Jim, tell us about your forthcoming book “The Death of Money: The Coming Collapse of the International Monetary System”. Is it a sequel to “Currency Wars”? When is it coming out and how can we pre order it? – Thank you. The Death of Money is both a prequel and a sequel to Currency Wars. It covers my career in national security matters from 2003 to 2008, which is a prequel to my involvement in the 2009 Pentagon financial war game described in Chapters 1 and 2 of Currency Wars. And it is a sequel in that it looks more deeply into the future of the international monetary system and expands on things that were only mentioned briefly in Currency Wars, such as the role of the IMF and its world money called special drawing rights or SDRs. 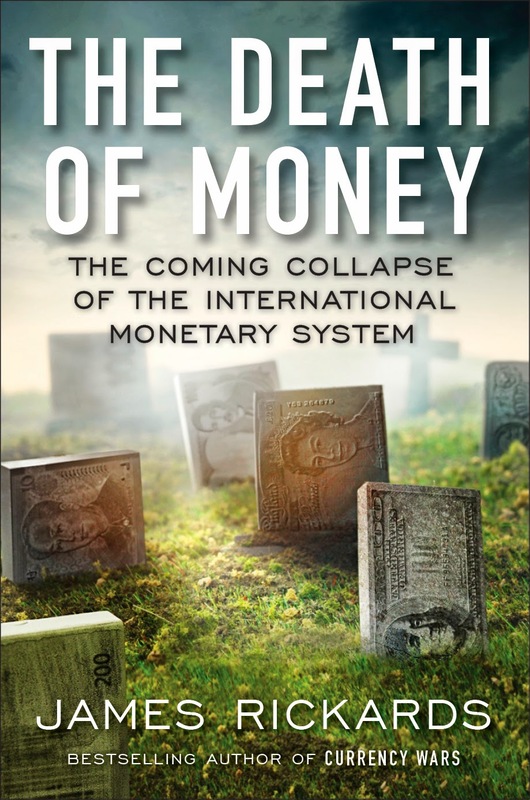 The new book, The Death of Money, is available on Amazon here http://t.co/puuXy3qnQE and will be available in bookstores or from Amazon in paperback or Kindle on April 3 for the international language export edition. The new book comes out on April 8 in the U.S. and Canada. Thank you very much for your time, Jim. We look forward to having you again soon on this blog.